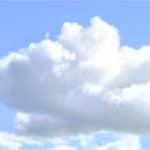 To move or not to move – when cloud isn’t always the answer! If your business application needs frequent modification or customisation. If your application is bespoke and critical to your business operation and moving it could carry too great a risk. If your service might have performance challenges, best tested through a Proof of Concept. If you frequently extract large volumes of data from the application and interact with other applications. If your application has a physical onsite dependency. Employees can access vital cloud-based business applications no matter where they are. New users and storage space can be quickly added to enable easy expansion. Staff members can easily share data and collaborate on projects across continents. Cloud-based infrastructure enables scalability without upfront investment. Applications based in the cloud help with GDPR compliance. So, there are still many occasions where we advise our customers not to move certain systems to the cloud and keep them exactly where they are. But on balance, there are lots of cloud solutions which will certainly enhance your business.